Audio Analysis: Will Saudi Arabia Increase Support to Rebels? Despite Russian bombing across Syria that undermined the short-lived Geneva talks this week, US Secretary of State John Kerry has assured that Moscow wants a ceasefire. The UN-brokered discussions were abandoned in Geneva less than five days. The opposition-rebel bloc said that they would not begin talks until Russia and the Syrian air force halted airstrikes that had killed hundreds of civilians while the groups were in Switzerland. 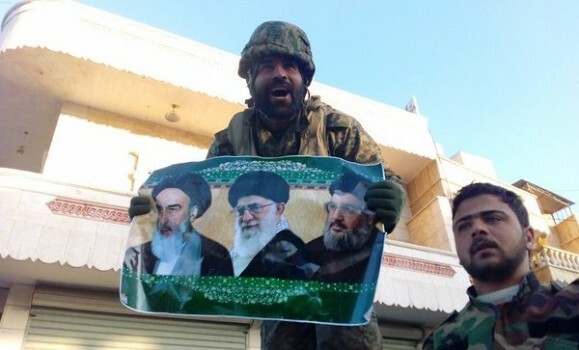 The Russian assault has accompanied a regime-Hezbollah-Iranian offensive which has advanced north of Aleppo city this week, and it also supported the Syrian capture of a town south of Damascus on Friday. An estimated 70,000 people have fled the Russian and regime attacks in northwest Syria. Many are trapped on the Turkish border, while others have gone to the mainly-Kurdish town of Afrin. The opposition-rebel bloc has also said that discussions can only proceed after access to humanitarian aid for besieged areas is guaranteed. US officials had circulated the story on Thursday that Washington might begin airdrops of food and supplies to besieged areas. However, White House Press Secretary Josh Earnest said Friday that, whie he “wouldn’t rule out humanitarian airdrops in the future…the amount of supplies that you can include is pretty limited”. The Secretary of State is scheduled to meet with Russian Foreign Minister Sergei Lavrov late next week in Munich, when the 20 nations of the International Syria Support Group gather to review the failure in Geneva. However, Russian Ambassador Vitaly Churkin indicated on Friday that Moscow would not step back from its bombing. Churkin’s statement reinforced Lavrov’s declaration, soon after UN envoy Staffan de Mistura halted the Geneva talks, that Moscow would continue its attacks: “Russian airstrikes will not cease until we truly win over terrorist groups. 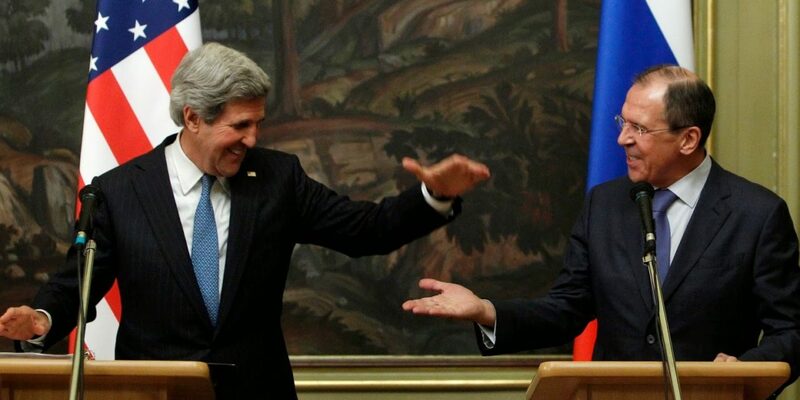 However, Kerry indicated that this would not deter his pursuit of Russian co-operation. He said that, while civilians were “being killed in large numbers” and humanitarian access remains denied, the bombing was “not going to stop just by whining about it”. I recognize that people can argue it’s not going fast enough or we’re not going far enough. We’re all frustrated by the situation there. But we also need to be mindful of the ultimate goal here, which is an end to the conflict and not an exacerbation of it. Officials of Syrian Kurdistan have announced plans for an office in Russia, followed by representation in Germany, the US, France, and Arab countries. “The autonomous Syrian Kurdish region will open an office in Moscow on February 10 and is preparing to open another in Berlin, with Washington, Paris and Arab countries coming later,” said Amina Oussi, deputy head of the committee for external relations in Hasakeh in eastern Syria. “These representation offices aim to secure recognition for the autonomous Kurdish region,” she explained. The commander of the Islamic Revolutionary Guards Corps, General Mohammad Ali Jafari, has taunted Saudi Arabia over its declaration this week that it might send ground forces into Syria. “They claim they will send troops, but I don’t think they will dare do so. 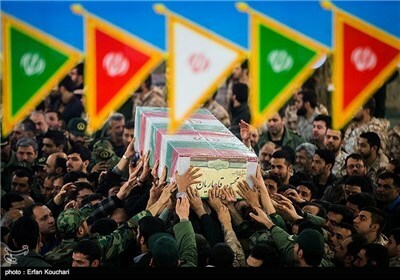 They have a classic army and history tells us such armies stand no chance in fighting irregular resistance forces,” Jafari told reporters in Tehran on Saturday. The commander was speaking at the funeral of Brigadier General Mohsen Ghajarian, killed this week in Aleppo Province. On Thursday, the Saudi Defense Ministry said it was ready to deploy troops to assist tthe US-led coalition against the Islamic State. See Syria Audio Analysis: Will Saudi Arabia Increase Support to Rebels? The Secretary of Iran’s Expediency Council, Mohsen Rezaei, Major General Mohsen Rezaei, said that if Saudi Arabia intervened in Syria, “a big regional war would engulf the Middle East“. If your martyrs had not gone to fight the enemy, the enemy would have come to enter our country. We would have to fight the enemy here in Kermanshah and Hamedan and other provinces. 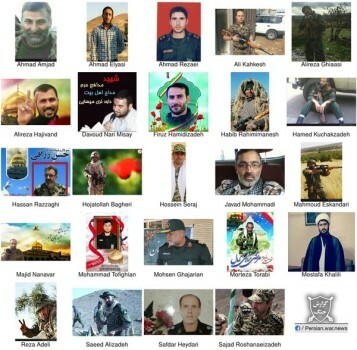 Martyred defenders of shrines devoted their lives to defend country, nation, religion and the Islamic Revolution. After reaching the regime enclaves of Nubl and Zahraa earlier this week, the regime-Russian-Hezbollah-Iranian offensive set Rityan as the next objective. Pro-Assad accounts claim it has been taken, while pro-rebel outlets say fighting continues with the regime forces taking heavy casualties.